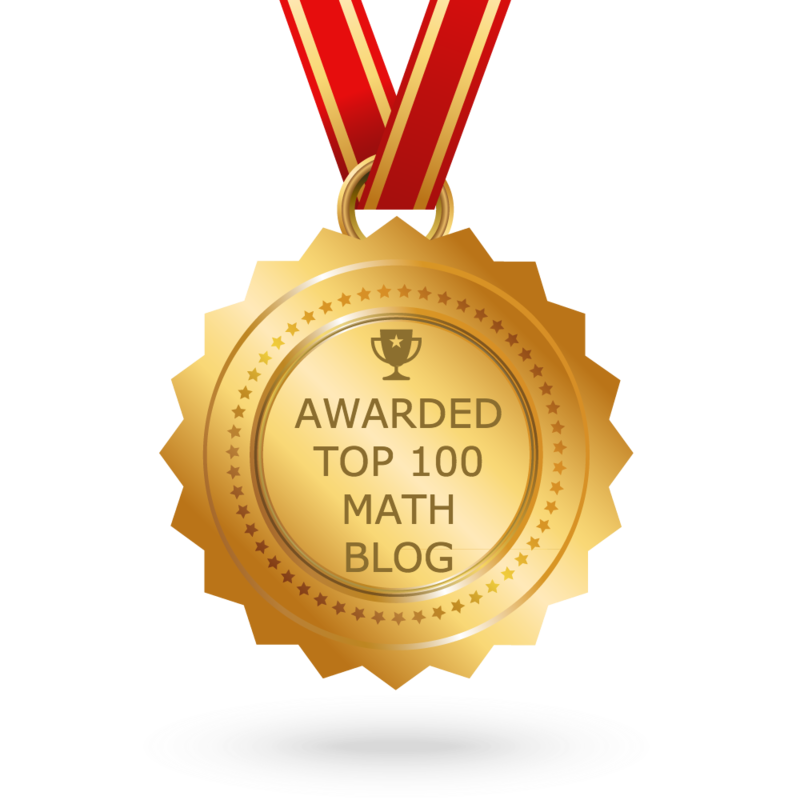 About "Direct Variation and Inverse Variation"
Direct variation and inverse variation is one of the important topics in school level math. And there is no competitive exam without questions from direct and inverse variation. Please look at the following situations. 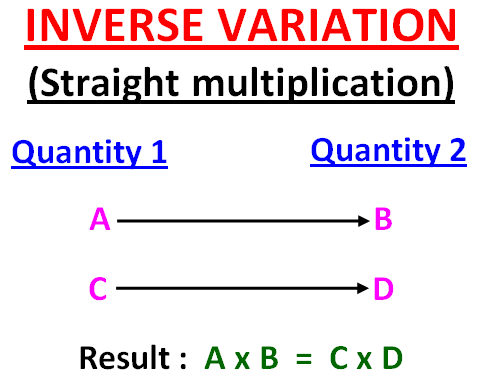 Now, let us come to know what is inverse variation. Thus we can say, If an increase in one quantity produces a proportionate decrease in another quantity, then the quantities are said to be in direct variation. If a decrease in one quantity produces proportionate increase in another quantity, then the quantities are said to be in direct variation. Change in the two quantities must be in different ways. 75 basketballs cost $1143.75. Find the cost of 26 basketballs. Let "m" be the cost of 26 basket balls. Since this is direct variation, we have to apply the shortcut "cross multiplication"
Let "m" be the required no. of days. Since this is inverse variation, we have to apply the shortcut "straight multiplication"
Let "m" be the required amount of money. Let "m" be the required number of pages. Hence, if every page has 24 lines per page, the book will contain 175 pages. Let "m" be the required cost. Hence, the earning for 4 years is $12000. Let "m" be the required number of days. In 36.5 weeks, Miguel raised $2,372.50 for cancer research. How much money will he raise 20 weeks ? Shanel gets 2/ 5 of a dollar for 1/7 hour of work. How much money does she get for 3 hours ? Hence, Shanel gets $8.4 for 3 hours of work. Let "m" be the required number of men. After having gone through the stuff given above, we hope that the students would have understood direct variation and inverse variation. 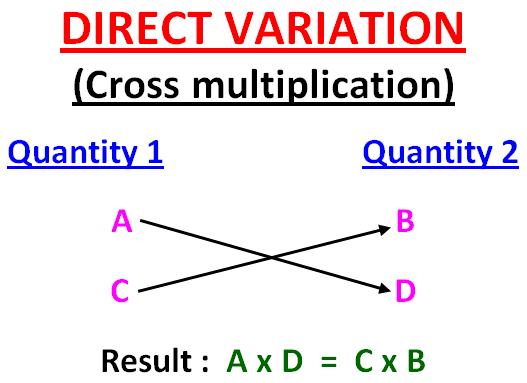 We hope that the students would have understood the stuff given on "Direct variation and inverse variation"
Apart from the stuff given on "Direct variation and inverse variation", if you need any other stuff, please use our google custom search here.